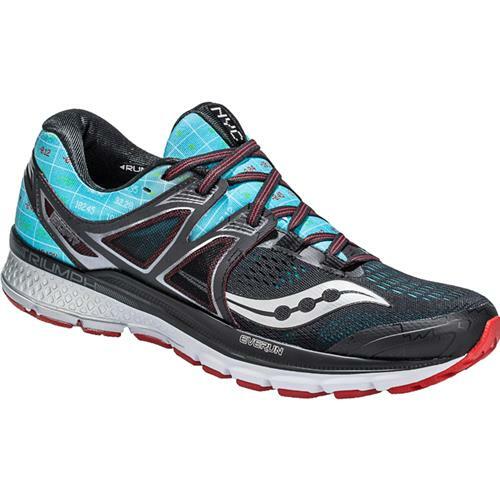 The optimal cushioning and fluid ride loved by runners continues with the new Saucony Triumph ISO 3 NYC Marathon Edition running shoes. 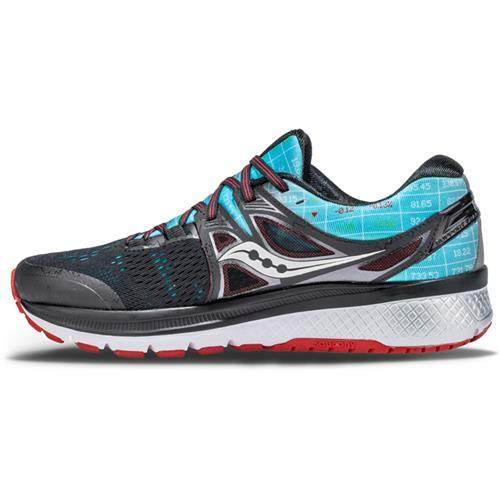 Neutral runners reap the rewards from the expanded, lively midsole and comfort of the EVERUN landing zone. 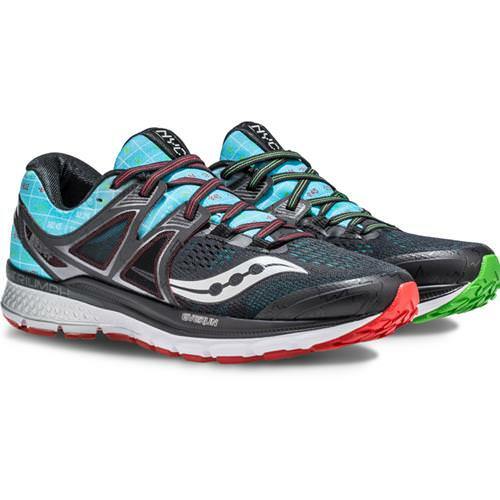 Updated colors and a superior ISOFIT System take your style and performance to the next level. In honor of the NYC Marathon, this special edition features a patterned design inspired by the iconic Wall Street and its stock market. Upper: ISOFIT combines a soft inner sleeve and a floating cage to create a dynamic fit system that adapts to the shape and motion of your foot. 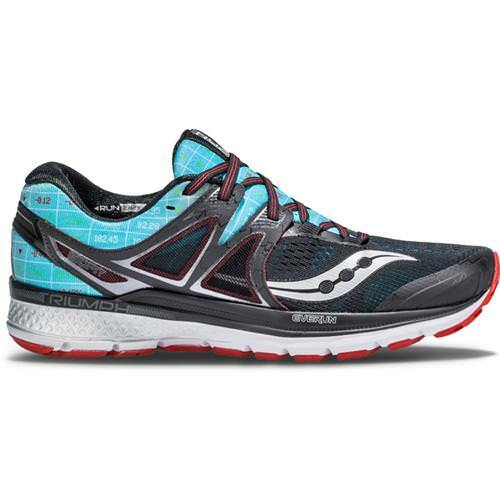 Lightweight Support Frame locks the heel in place for a secure, stable fit. RUNDRY Lining combines superior moisture wicking properties with a plush feel for comfort. Padded tongue and heel collar enhance comfort. Flat laces reduce irritation. 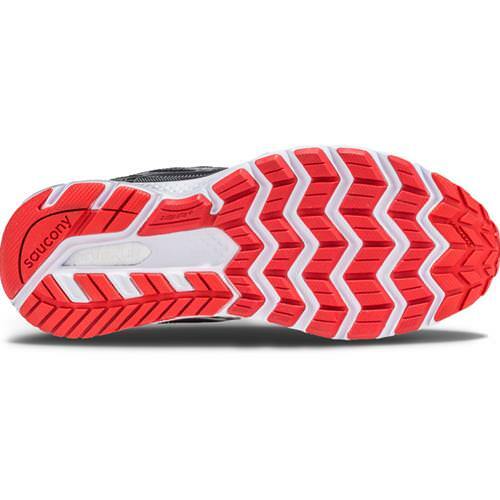 Midsole: EVERUN provides a lively, resilient ride while offering continuous cushioning and enhanced energy return properties. PWRGRID+ is over 20% more cushioned and 15% more resilient than a standard POWERGRID construction, providing a plush feel, responsive ride and superior impact protection. Extended EVERUN Landing Zone. Outsole: Tri-FLEX provides increased force dispersion over a greater surface area while also delivering optimal flexibility and traction. iBR+™ is 33% lighter and provides more cushioning compared to standard blown rubber. XT-900™ premium carbon rubber outsole offers exceptional traction and high-wear properties. Special Note:Per the manufacturer's design, each pair contains one shoe with a green-colored outsole and one with a red-colored outsole.